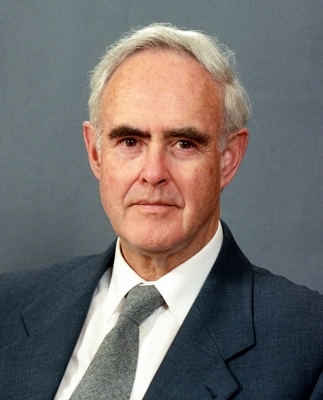 HAIFA, Israel — Mr. Ian C. Semple, former member of the Universal House of Justice, passed away today in Switzerland. He was 82 years old. Our hearts are laden with sorrow at the passing to the Abha Kingdom of our dearly loved former colleague Ian C. Semple, staunch, clear-sighted, outstanding servant of the Blessed Beauty. Having embraced the Cause of God in the prime of his youth while at university, he devoted his considerable energies, eloquent pen and keen intellect to its protection and to the promotion of its vital interests throughout the rest of his life. A distinguished record of six decades of uninterrupted labour in the Divine Vineyard included service as a member of the National Spiritual Assembly of the British Isles, of the Auxiliary Board for Propagation in Europe and of the International Baha’i Council, and culminated in forty-two years of membership of the Universal House of Justice from its establishment in 1963 until 2005. The shining qualities of his being, his immense courtesy, surpassing humility, purity of heart, irrepressible joy and unfailing optimism – all born of an unshakeable faith in the Word of God and its capacity to redeem humankind – endeared him to everyone who had the privilege of knowing him. We extend our loving sympathy to his beloved wife, Louise, to his dear children, Michael, Nicholas and Jennifer, and to his grandchildren for the loss they have sustained and pray for the bounties of God to surround them. May Ian’s valiant soul receive a joyous welcome in the celestial realms above and be richly rewarded for his fealty and his exemplary dedication to duty. We call upon the friends everywhere to hold memorial gatherings in his honour, including befitting commemorative services in the Houses of Worship throughout the world.